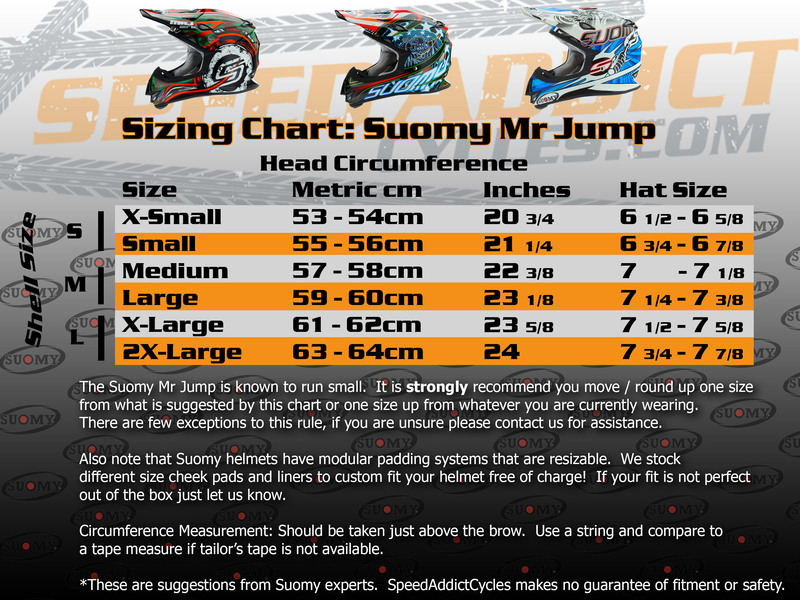 Coming in at just under 2.5 lbs (size LG) Suomy's Mr Jump MX is truly one of the lightest helmets on the market today. Hand made in Italy, customizable fit, and killer graphics make this lid tough to beat. These helmets run smaller than other manufactures, we STRONGLY recommend moving up one size (e.g. if you normally wear a Shoei MD order a LG).